Echoes from four thousand years of history can be heard atop a 400-meter-tall cliff in the small town of Lubenice. Its seclusion and peaceful air have spread to the surrounding area, making Sveti Ivan (Saint John) beach, at the foot of the cliff of Lubenice, a real oasis of tranquility. The fabulous view of the white sands of Sveti Ivan from thirteen hundred feet above will leave few unwilling to attempt an adventurous 45-minute descent. However, all agree that Sveti Ivan is a worthy prize for the effort. This Robinson Crusoe-like experience can be skipped if you opt for a more comfortable arrival by water. Whatever your choice, Sveti Ivan will introduce ou to the perfect relaxation when the other beaches start to feel overcrowded. 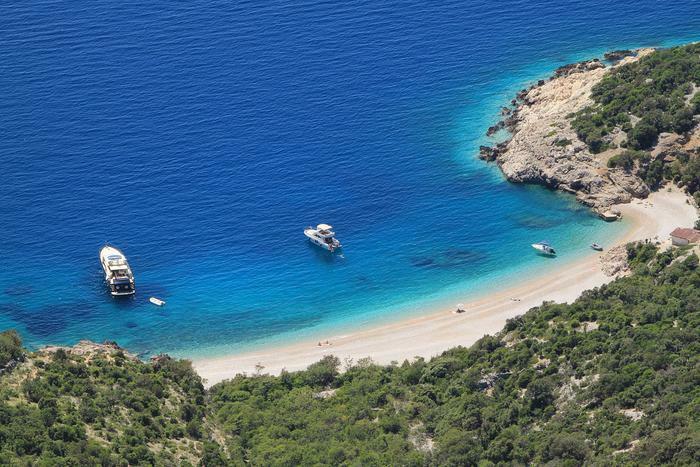 The sandy beaches of Lopar are an uncommon sight on the Adriatic, where rocky and shingle beaches dominate. 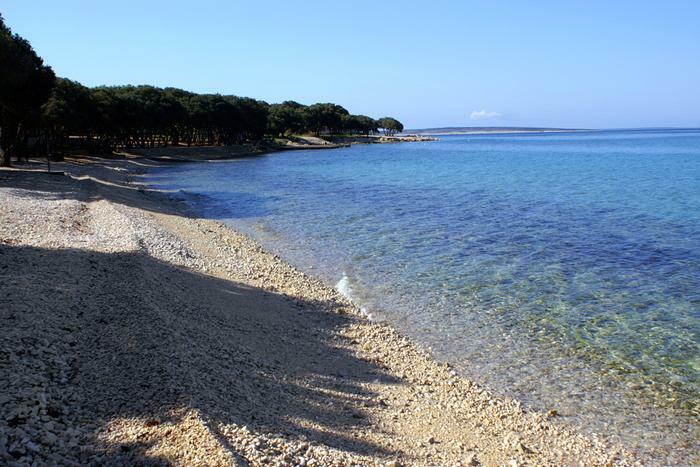 As many as twenty-two sandy beaches surround this small town on the island of Rab. The most popular among them is Paradise ebach. Its very name suggests the heavenly treatment that its mile-long sandy strand affords to the visitors of this, most famous of Rab's beaches. The Blue flag being a guarantee of cleanliness, as well as a wealth of recreational options, a lifeguard on duty and numerous hospitality facilities should provide plenty of reasons to keep you at the Paradise beach all day long. Seeing what the place looks like will really dot the i on your decision to come check why as many as half of the island's population frequent this sandy paradise. 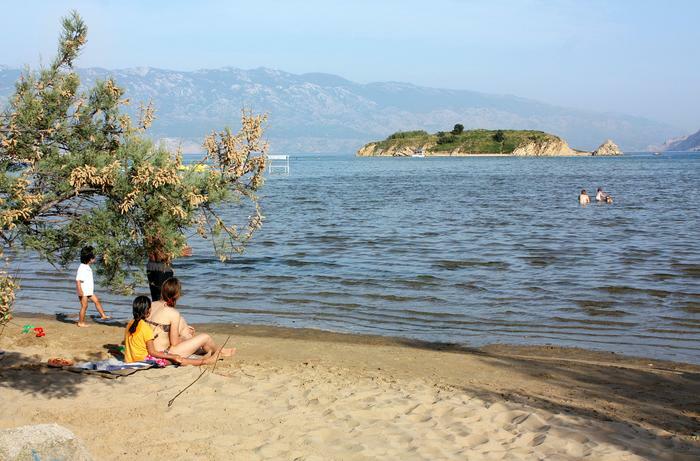 Zrće beach needs no introduction to the younger generations. They have long since acquainted themselves with the image Zrće has cultivated in recent years - the Croatian capital of round-the-clock beach parties. Pag's rocky environs have tucked away this factory of fun in one of its countless coves, where four prestigious nightclubs have sprung up on the very waterfront. Summer festivals here trade places with guest appearances by the world's DJ elite. However, the mile-and-a-half-long beach of fine shingles is singled out not only for the entertainment options available, but also for the great natural beauty which often earns it the epithet of the most beautiful beach on this large island. Zrće has been the holder of a Blue flag since 2003, meaning it continues to meet strict criteria for the cleanliness of the sea and the environment. The visitors will be kept breathless by such adrenaline-fueled entertainment venues as bungee jumping or wakeboarding. 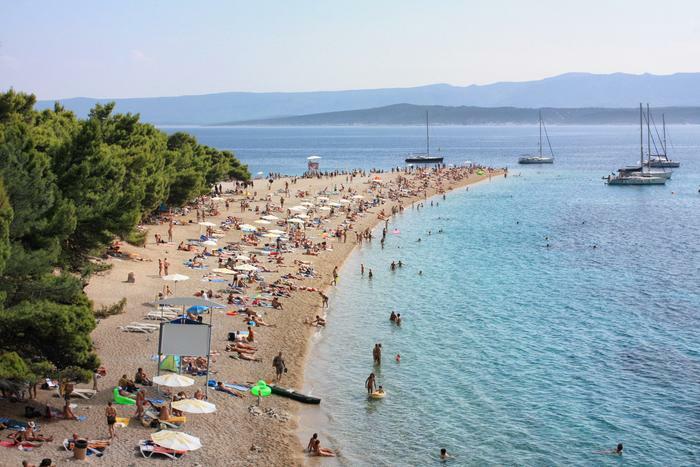 Zlatni rat, meaning Golden horn or cape, is the crown jewel of Brač holidaymaking, and a recognizable symbol of Bol. A half-mile of fine shingles of Zlatni rat have found their way to many postcards and brochures detailing the beauties of Croatia, making it an iconic Adriatic beach. Its simple shape and constant changefulness are truly fascinating. Perpendicular to the shoreline, the wind and sea currents shift its tip sideways, making it different every time you visit. 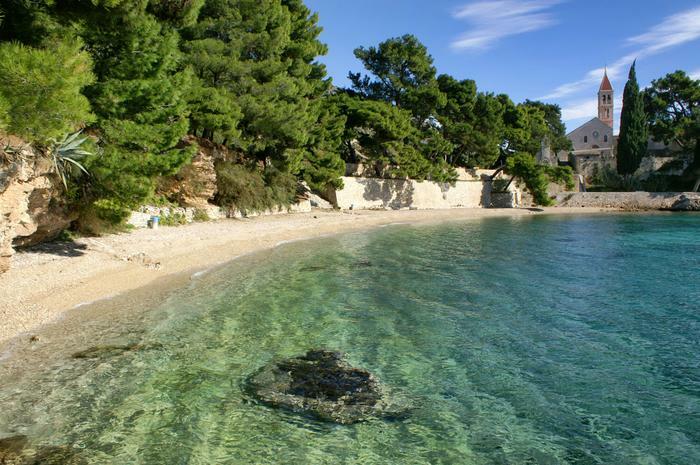 Brač's favorite beach is a certain crowd-pleaser for all generations. Water-based activities such as gondolas, jet ski, or pedal boats are popular with visitors irrespective of age, as are the hospitality facilities offering refreshment in the beach's forested center. Lovers of windsurfing congregate on Zlatni Rat, as well as Viganj on Pelješac peninsula, as their absolute favorite on the Adriatic thanks to its always-windy tip. 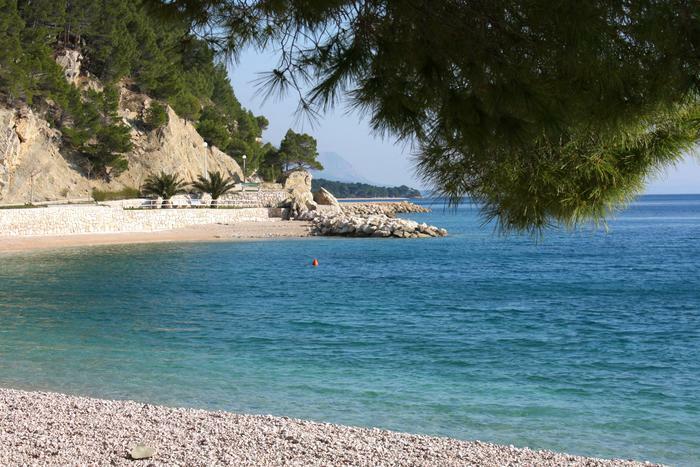 The Makarska Riviera is known for its long and carefully decorated shingly beaches, one of the most famous of which is Punta Rata in the town of Brela. Its attraction was recognized by Forbes magazine, which named it the sixth most beautiful beach in the world (and the most beautiful in Europe) in 2004, in the category of lesser-known travel destination in the US market. Thick pinewoods surround the shingle beach, whose sandy entrance delights children. Its trademark sight is the large rock which juts from the waters, used by many to test their swimming or diving skills.